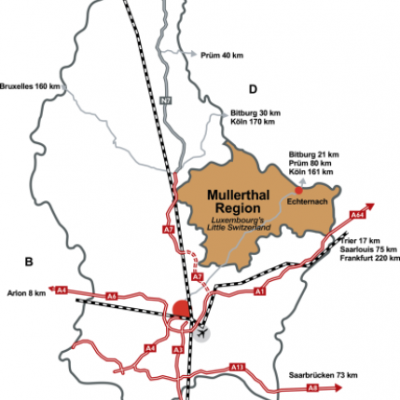 There are several possibilities to reach Mullerthal with public transports. On www.mobiliteit.lu you can consult the bus and train connections for the entire country. Trainconnections coming from abroad can be found under www.cfl.lu/en. 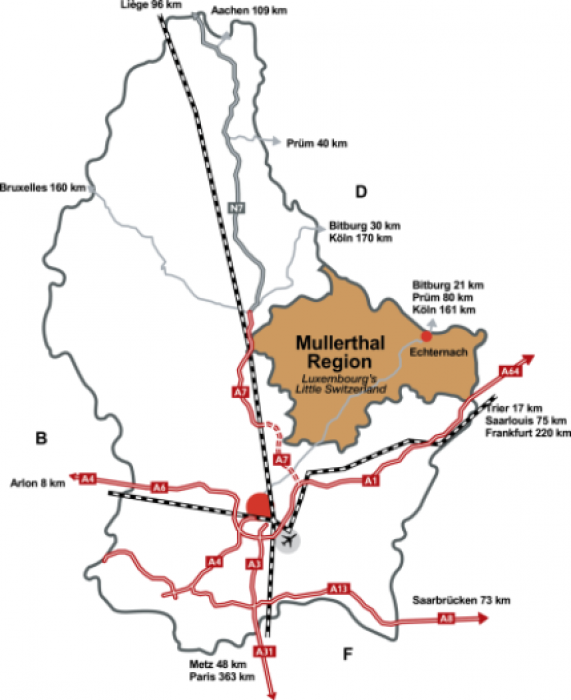 The two bus stops in the village of Mullerthal are called "Möllerdall" (200m from the Touristcenter) and "Cascades" (300m from the Touristcenter).